This is the Model 3107 - Series 7 Chair, 1955 by Arne Jacobsen. 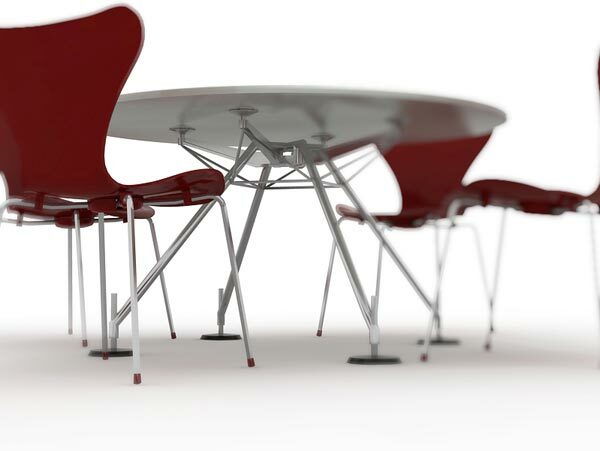 Unfortunatly I can not really remember who mde the design of the Table. 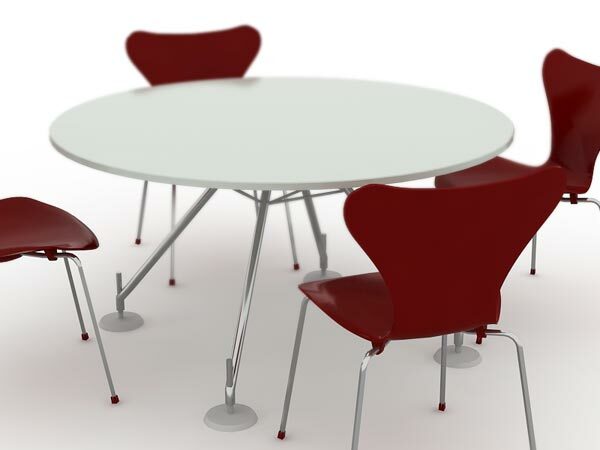 This model is confused a lot of times with the “Ant” chair, by the same Jacobsen. They ARE similar, but not quite the same. I like this chair very much and use it frequently for Render tests and Space design. Powered by a modified Hemingway flavored WordPress in 0.245 seconds. If you want to BrowseHappy please consider downloading Firefox.